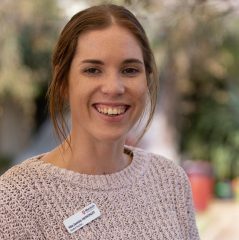 Jasmine graduated from Murdoch University in 2018 with a Bachelor of Early Childhood and Primary Education. In her final year of study, she also completed a year-long internship in a pre-primary class at Bold Park Community School. She quickly discovered her passion for teaching through the Reggio Emilia approach in a collaborative teaching environment. Jasmine has gained work experience across multiple schools in Perth and the South West as well as undertaking a semester abroad in Sweden where she studied outdoor pedagogy. She is thrilled to be working as an intern in 1/2A this year.